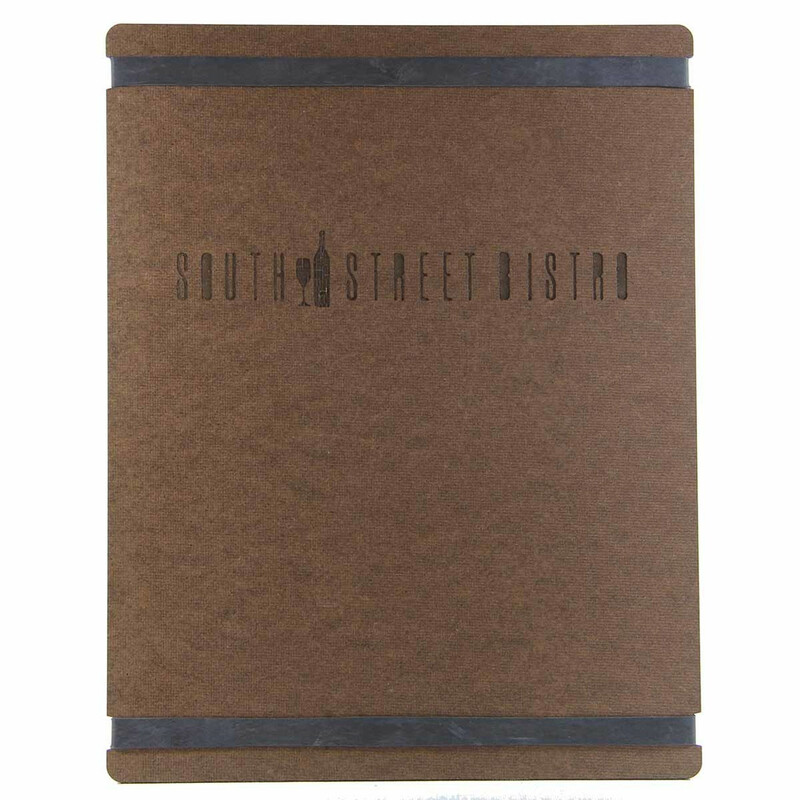 Hardboard Menu Boards with Bands include two heavy duty latex free rubber bands to hold menu inserts. May be engraved with your logo or custom artwork. front side. Screenprinting is also available. Please contact us for details. Minimum order 15 pieces. Quantity discounts of $0.50 off each for a quantity of 50 and $1.00 off each for a quantity of 100 will automatically apply. Hardboard with Bands 5.5" x 8.5"
Hardboard with Bands 5.5" x 11"
Hardboard with Bands 4.25" x 11"
Hardboard with Bands 4.25" x 14"
Hardboard with Bands 8.5" x 11"
Hardboard with Bands 8.5" x 14"
Hardboard with Bands 11" x 17"